Earlier this year, Chuck, cruised to Hawaii, where he took Ukulele lessons aboard his Princess ship. He purchased a ukulele on the ship and hasn't put it down since. Now, along with his original instructors, Brian and Rowen Vasquez, they have planned a Ukulele cruise to help players reach higher proficiences on their Ukuleles. At the moment Brian finally gets to introduce himself it's by way of passed down family melodies on his ukulele. It is nothing short of magical. 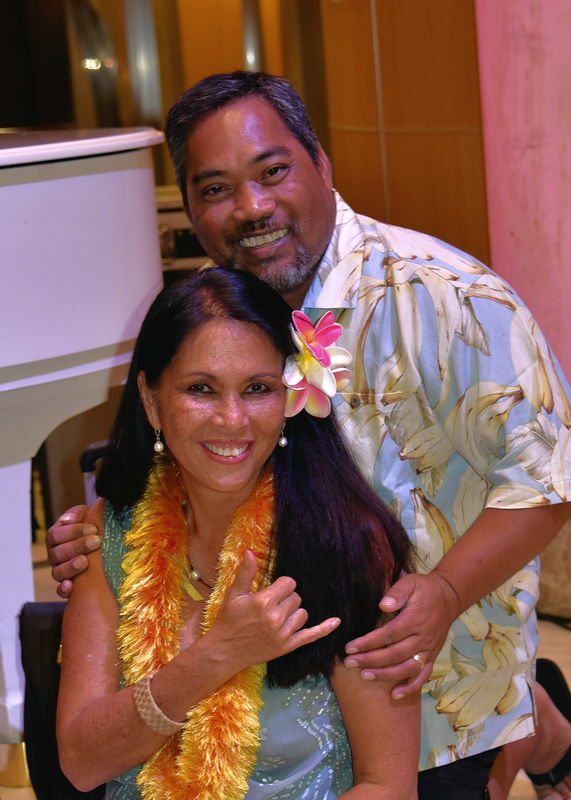 Rowena gives the couple's history as Hawaiian embassadors on cruise ships and future plans. Chuck Kennedy is the travel professional planning the itinerary. We talk about Chuck's history and entry into the world of travel, his passion for cruising, ukulele and doing right by his clients. We laugh a lot, tell a lof of stories and mostly get excited for this most musical of adventures on a fantastic Princess Ship! Ukulele Class 10 a.m. to Noon, 2 p.m. to 4 p.m.